The exposition at our stand represents solutions in the field of video surveillance and intelligent analysis of the information gathered. These include network and video recorders for the protection of defence and other strategic facilities, as well as banks, recreation areas, transportation, energy facilities. Dahua’s video surveillance equipment is purchased in Azerbaijan by private companies, but we would like to bring them to the attention of public sector entities, because their real benefits are obvious. Dahua’s solutions and products have been used in numerous international projects. The company has four research institutes in which more than 6,000 engineers and technical personnel work on advanced technologies in AI, IoT, cloud services, video, cyber-security and software. 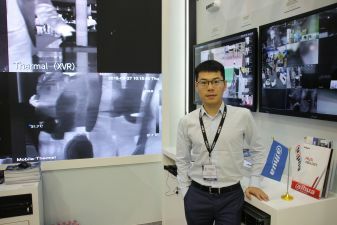 Since 2014, Dahua occupies second place in the global market for video surveillance equipment, according to the IHS Report, and in 2017 won third place in the Security 50 rating by A & S International. The company is steadily progressing forward in the creation of new technologies and the introduction of innovations in its projects. We are participating in ADEX for the second time, and it is possible that we will continue to participate in technological or IT-exhibitions in Azerbaijan, for example, Bakutel.